The matting workshops are on the horizon! 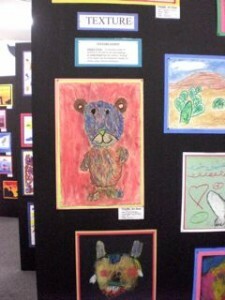 At this workshop important work begins leading to the annual Art Show at your school. The Art Show celebrates the artist in every child and the students are very proud to show off their artwork to friends and family. At the Matting workshop you will receive instructions for choosing, matting, labeling and displaying the students’ artwork from your class. It is very important that a representative from your class attends. The materials for labeling and submitting the artwork will also be distributed. If you have questions, please call your school’s Head Coordinator for Art Corps. If you miss a workshop we encourage you to contact your workshop leader as soon as possible. She can help you find another location the workshop is still being offered, or offer another solution if there is not another one available. NOTE: Cubberley Elementary does not have workshops. Art Corps teaches lessons directly to the students in the classroom. The posted schedule for Cubberley reflects the lesson times for their school, not workshops. Wow, it is already 2012! That means our Famous Artist workshops are just around the corner. If your school offers the open choice format, you will be treated to 24 choices of projects. This year we will be bringing back the ever popular Van Gogh Starry Night along with the Klee Etching, Monet Boats and Picasso Faces lessons. We will also be introducing two new lessons. One features the color fields of Mark Rothko and the other offers a Zen experience of Japanese brush painting called Sumi-e. We know all our lessons will get your creative juices flowing, so check your workshop calendar and be sure to come. We hope you will find our new website helpful and easy to use. Check back here for the latest news and information.